I was never going to write this post at the risk of repeating myself. Me wearing a maxi dress is hardly breaking news. 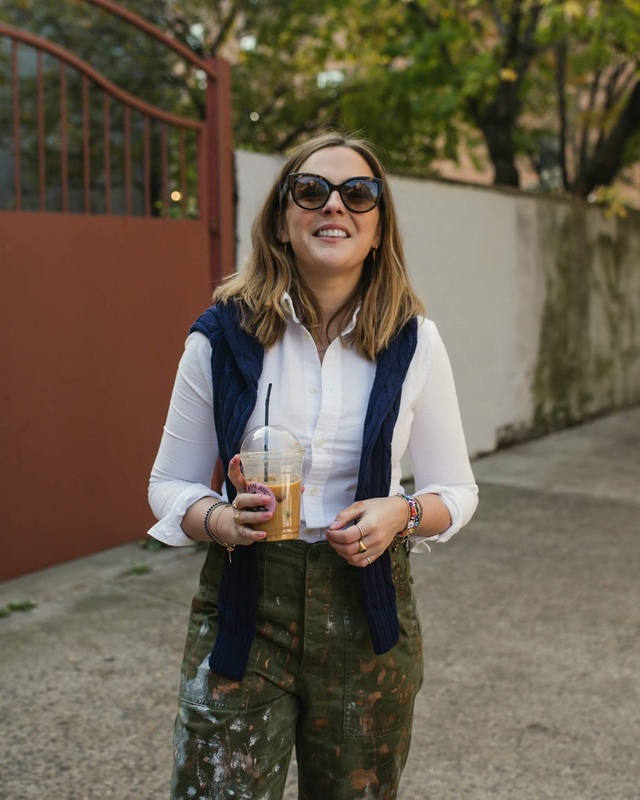 Up until the spring you'll find me wearing one of two outfits; jeans and a (most likely grey, or possibly if I'm feeling wild, striped) jumper or a maxi dress and ankle boots. 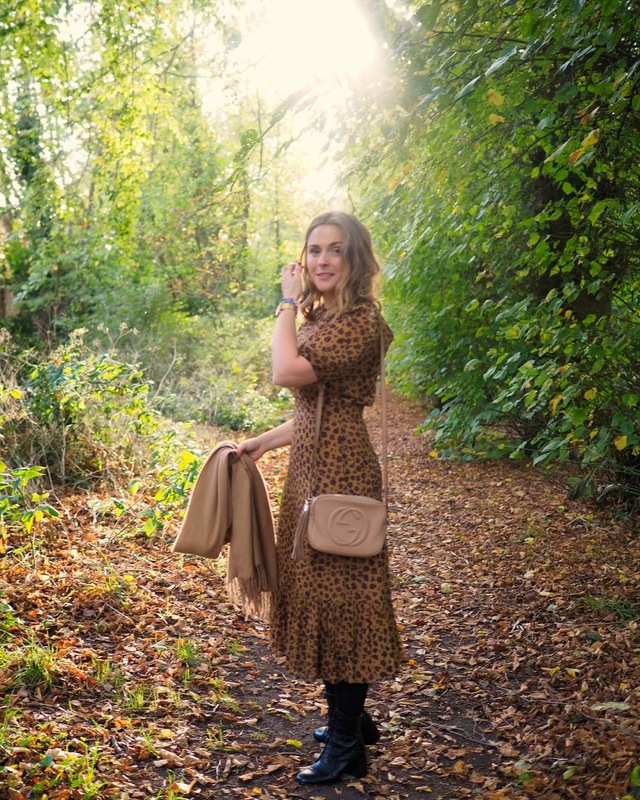 I've already done a post on my favourite maxi dresses for the year (here if you've missed it) so surely that's me done? Nope. 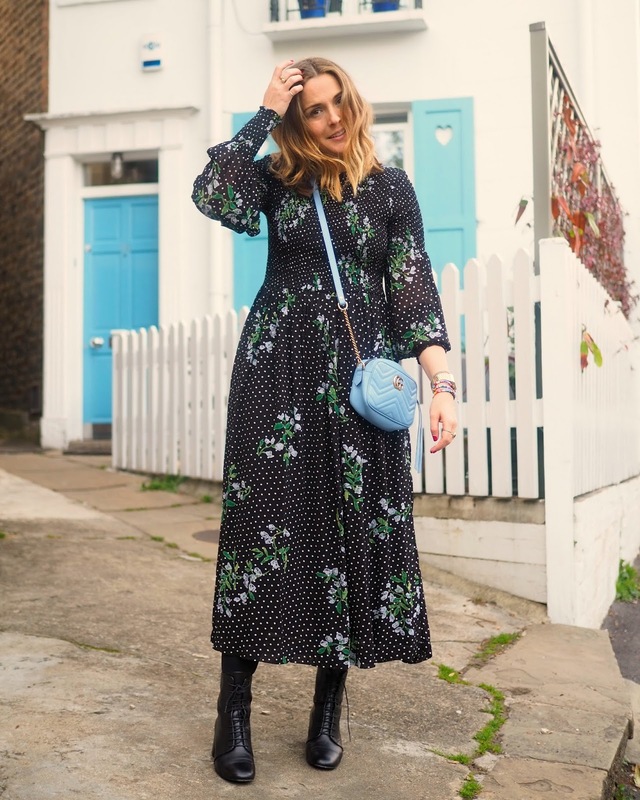 But with good reason; Black Friday means this dress is 25% off at the moment in the Net A Porter private sale (which means you must be a subscriber) - find it here. Secondly, the boots are 30% off from here (link to entire Net A Porter private sale here - Thank me later...). Ooh and on the subject of Black Friday lots of you have been asking about my newsletter. The plan was to do one on Thursday AM but different brands are doing different offers so I think I've got no choice but to create a landing page that I'll update daily and send a little newsletter from Wednesday. Sign up here if you want it. This is a question I get asked almost daily on Instagram. When Parisian brand Sezane dropped in the UK, so did the sanities of many a Francophile. When Morgane Sezalory (even if you don’t know how she is, when I say “typical, lithe, cute French girl” the person you’ve got in your head is her) launched the brand in France, with an aim to create “thrift-store-like-staples” in 2016, I very much doubt she’d thought beyond clothing her own circle of friends. Because she’s Parisian. I can say this with experience of working for a French brand; Parisian women know their sh*t. The brand I worked for barely had a returns policy when it launched globally because women in France never return anything, because they never order anything they don’t know that they need and will fit. They know their inside leg, ankle and hip measurements as well as they know their mobile numbers. They have brands they stick to, and will only switch if someone they know and love is involved (cue, Sezalory). Ok, so this is no new thing is it? Leopard print has been around for a while. Jenna Lyons (AKA my style icon if I was to have such a thing) said that leopard print is a neutral, and best worn when considered that way. I have to say I think she is right. I was so nervous of it for so long, starting with the odd scarf or little detail, but now I sit any type as a fully fledged, head to toe, leopard print affectionado. I really think it's all to do with the quality of the fabric; if it doesn't have a good weight to it, or is quite plastic like, you've lost me. I borrowed this L.K.Bennett dress for an event and absolutely love it. The brand really understand a woman's shape, so as much as it is more expensive than others I also really understand why. 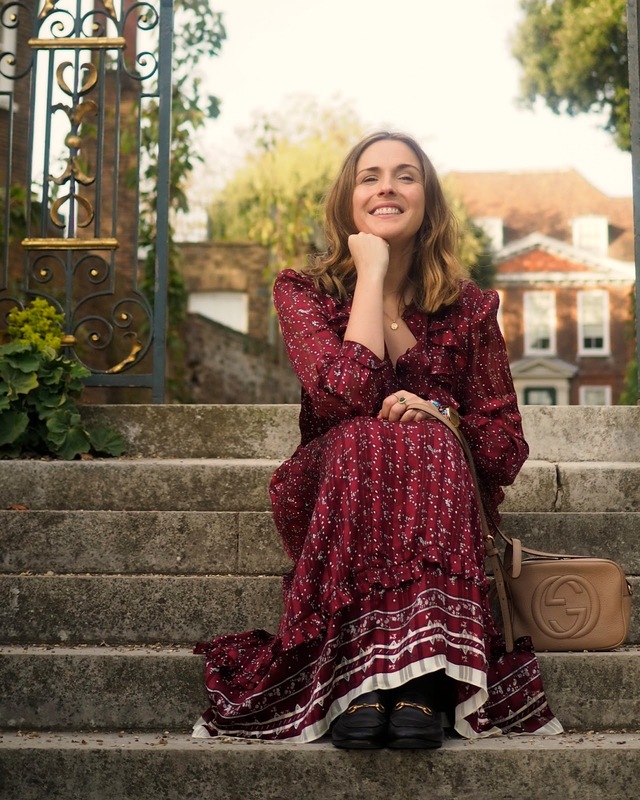 It's not my only one, I'm also the proud owner of a beloved Lily and Lionel maxi dress which I absolutely love, even though the fabric is a little light for the colder months. 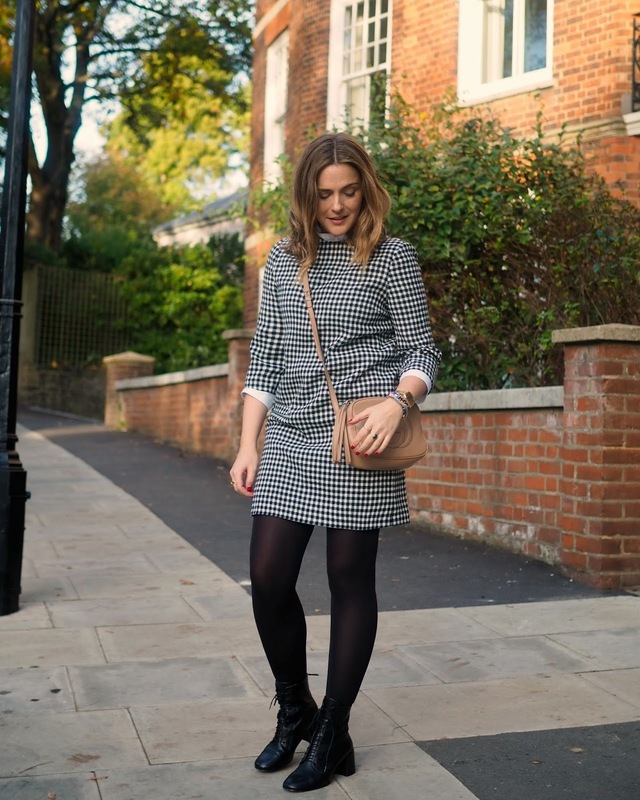 So, here is my edit of favourite finds - and there are some real goodies. Ok, so it's been a while. What can I say? Life was busy. But, I'm back in the game and completely spurred on by the fact it's autumn. I bl**dy love this time of year especially living in North West London. I'm back from a walk with my parents and the dog, wandering down streets with pretty pumpkins and reddy orange leaves. Absolute bliss. Any way, back on to the proper stuff. Autumn is my favourite time to both wear and buy clothes. After what felt like a forever-long summer sale retailers are starting to react to the colder weather and the new season feels really exciting. I have quite a bit already so never go crazy, but I've added in a few keys pieces.